I don't know if it's been re-released or anything, it was just in the last four years I discovered it when someone put it up on YouTube. "Oh, what's this Diamanda record I've never heard before?" I think that the long-form tape experiment that she's doing on that record suits her really well. 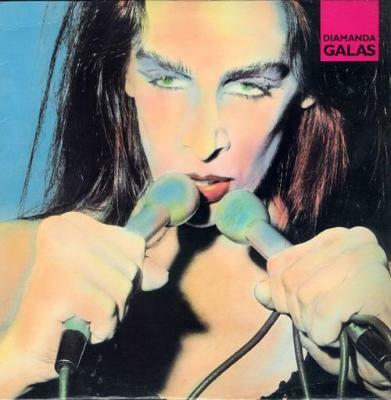 I always feel really weird when talking about musicians like Diamanda because their music has a much darker aesthetic, and I feel like I'm speaking aspirationally when I'm talking about what a fan I am. Do you know what I mean? Like hearing Green Day are really into Lightning Bolt - "Oh really guys? That is so cool that you like Lightning Bolt, tell me more!" So I'm really nervous to talk about it. But the thing that really appeals to me, apart from just listening to her records and weeping, is that she has this clarity of purpose, she's found this thing that she's doing, she's refining this diamond of an oeuvre that she has. Part of talking about some of the more experimental musicians on this list was when she did this with you guys, she's talking about a lot of old AM radio hits and old soul songs, so I thought, "It's fine, we don't have to make any pretensions about our listening habits sticking to the music we make."